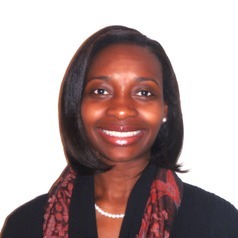 Dr. Gymama Slaughter is the Executive Director of the Frank Reidy Research Center for Bioelectrics and an Associate Professor of Electrical and Computer Engineering at Old Dominion University. Slaughter applies microscale and nanoscale technologies to create new and improved devices to diagnose and monitor diseases. She also develops and applies sensor-processor platforms, focusing on innovative contributions to identifying a pathway to embed sensing and processing functions in the same device to eliminate bottlenecks arising from communication between the sensor, transducer and processor, thus, resulting in ultra-fast and ultra-low power devices. Her research has been supported by the National Science Foundation, Department of Army, TEDCO Maryland Innovative Initiative, and the Maryland Industry Partnership. Her research interests include biosensors, microsensors, microfabrication technology, and biomedical microsystems (BioMEMS). She is the recipient of the National Science Foundation’s prestigious CAREER AWARD. The award recognizes junior faculty who exemplify the role of teacher-scholar through outstanding research, excellent education and the integration of education and research.